Contest has now ended. Congratulations to Clair Liu who won! 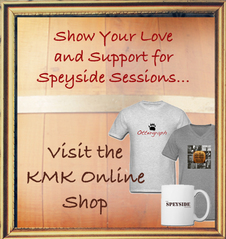 PURCHASE T-SHIRT OR MUG: Send us a photo or proof of purchase of a Speyside Sessions T-shirt or mug from KMKO Charity Shop. 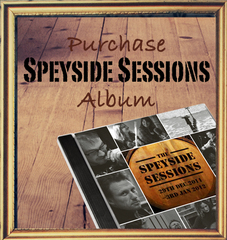 DOWNLOAD THE ALBUM: Send us a photo, video, or proof of purchase of you bopping to the Speyside Sessions downloaded tunes (soon to be CD). DO SOMETHING FANTASTIC: Tell us your story about how you helped spread the word about Speyside Sessions! Did you do tell your local radio station? Make a video or screecap? Give a friend a copy? Write a review? Post to Twitter or Facebook? We want to hear your great idea whatever it is! All entries due by the 1st August 2012. Only one winner for this competition. Skype Session is not transferable to anyone other than the person who has won. 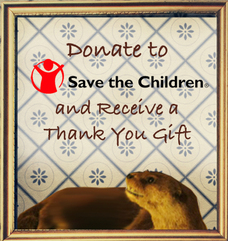 It can not be transferred to any other giveaways or for monetary value. Please supply proof in the form of screencaps, photos, videos or purchase receipt. Specific date and time for chat to be determined by Kevin McKidd and his schedule. Winner is solely responsible for having all necessary software and any and all other means to participate in chat. Chat is subject to moderation by KevinMcKiddOnline.com. Not open to KevinMcKiddOnline.com staff or Speyside Sessioners. Winner is selected by using random.org. 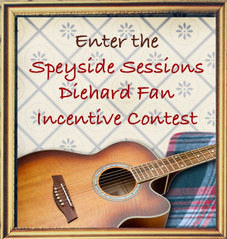 What is The Speyside Sessions? Images/Video of The Speyside Sessions property of Iain Robertson, James D. Reid & The Speyside Sessions. Used by KMKO with permission.